Vietnam in 2018 is where you could observe the contrast of time. As a booming economy, from one street to another, adventurers find themselves between layers of modern and historical areas, from business centers with brand new buildings, fancy cars to the countryside and rice paddies, from street-food vendors to high-end restaurants, etc. Coming to a developing country means you have more chance to have access to all of it and you’ll be amazed by the diversity of this friendly country. 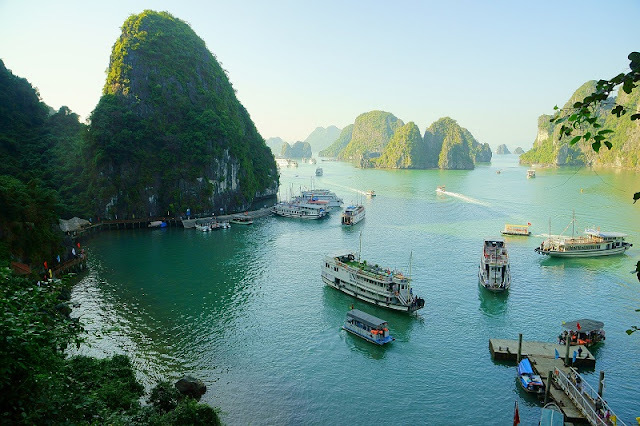 From the voting and feedback of our customers, combine with what our travel experts have to say, we have elaborated the top 10 Vietnam tours for you to explore this beautiful, authentic, and historical land. Even better, all of these itineraries can be fine-tuned to meet your preferences, so feel free to tailor your own Vietnam adventure now! A unique system of limestone karsts and beautiful islands is really fascinating to view from a boat. Watching sunrise and sunset on a cruise will be an unforgettable experience for your trip. Hanoi, the capital city of Vietnam, is the realm of exotic local cuisine. Be sure not to miss the one and only Pho, the most famous traditional dish in Vietnam. Also don’t forget the unique “egg coffee” – one of the 10 best drinks in the world. Take a walking tour and our guide will introduce you the most intriguing eateries, street snacks and local restaurants. Sapa is one of the best destinations in Vietnam for adventure tours. 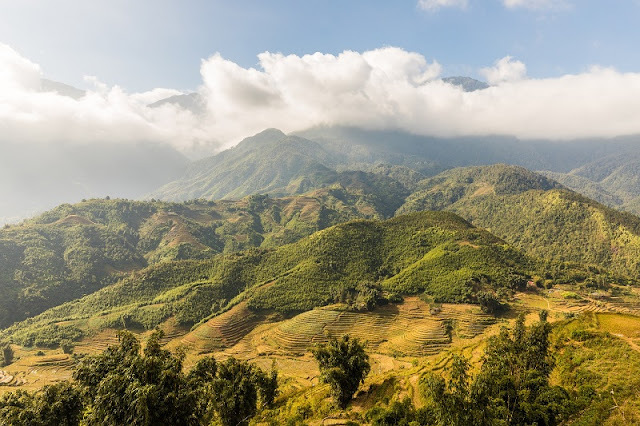 Some activities you can experience in Sapa are visiting terraced rice fields, exploring colorful ethnic culture and conquering Fansipan Mountain. Hue used to be the capital city of Vietnam and its historic architecture is well-preserved. Situated along the banks of Perfume River (Huong River), Hue is known as one of the most poetic and dreamy cities in Vietnam. Famous for atmospheric scenery of traditional architecture, Hoi An is a getaway destination from your busy city life. Traditional crafts and cuisine in this tranquil city are ready for you to explore. Are you ready to push your limits, challenge your strengths and boost your adrenaline with something adventurous? Scuba diving, surfing, parasailing and water skiing in Nha Trang are waiting for you. Floating market is a lively scene of flourishing Mekong Delta. It is said that if you don’t visit floating markets, you don’t see the soul of this region. 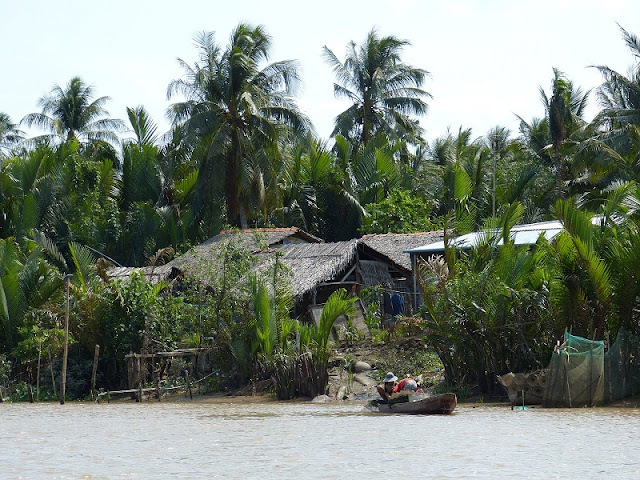 Choose a Mekong Tour and experience colorful local life. Built by the Viet Cong in the 1940s as protection from French air raids during the Indochina conflict, the Cu Chi Tunnels extend underground for more than 155 miles (250 km) in the vicinity of Ho Chi Minh City alone. This network of subterranean passageways later provided vital access to and strategic control over the rural areas surrounding the city during the Vietnam War (also known as the Second Indochina War or the American War), when the tunnels housed living quarters, hospitals, booby traps, and storage facilities for the Viet Cong. Be sure to check all the information of Vietnam before each trip, to get the best preparation. Do not hesitate to ask us anything about Vietnam, we are here to help you. Wish you have the best trip!